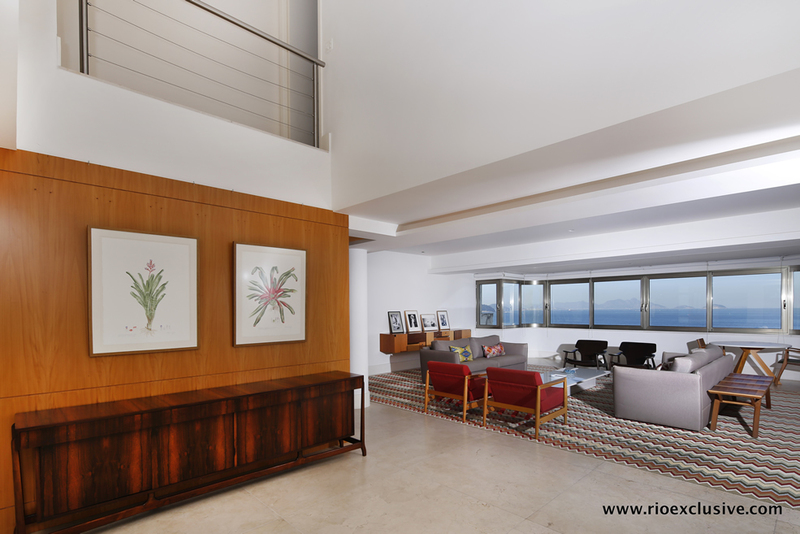 Entering the property you’ll immediately be struck by the sophisticated modern design and the natural beauty of the ocean views. 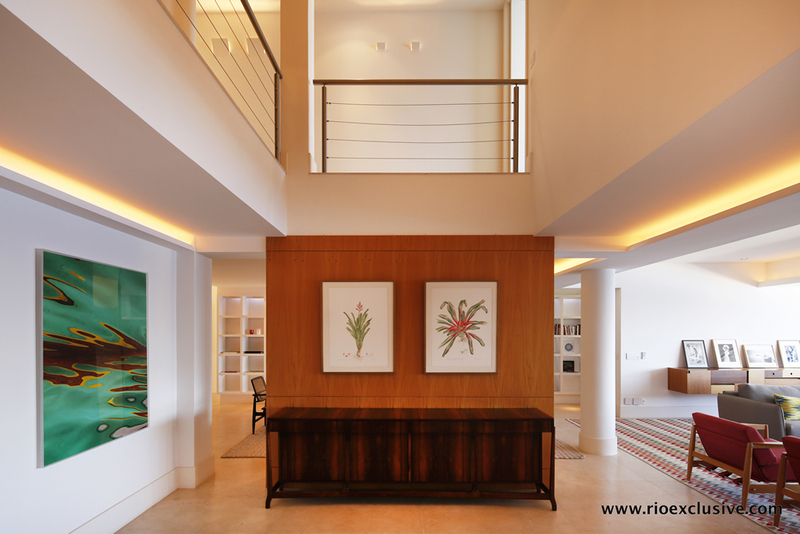 The property has been carefully furnished to the highest standards of modern art and luxury; ensuring only the best awaits you. 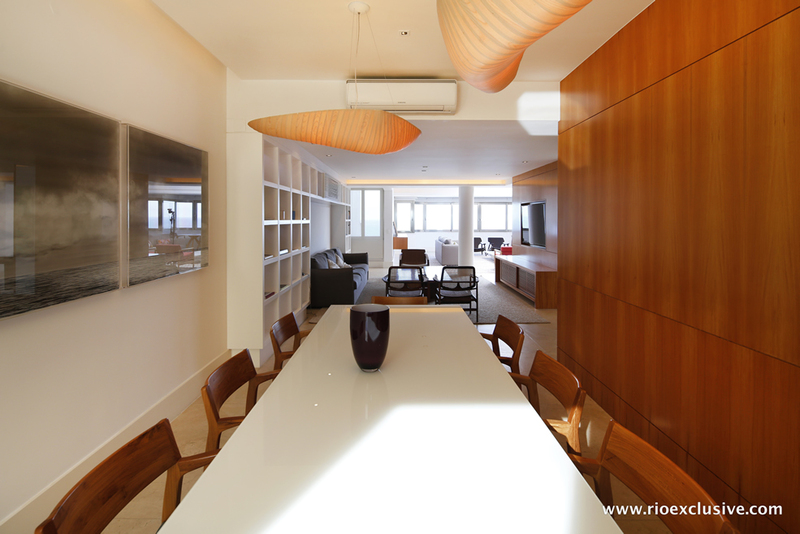 A dining table set for 8 provides the perfect environment for eating with friends, family or holding impromptu business meetings. 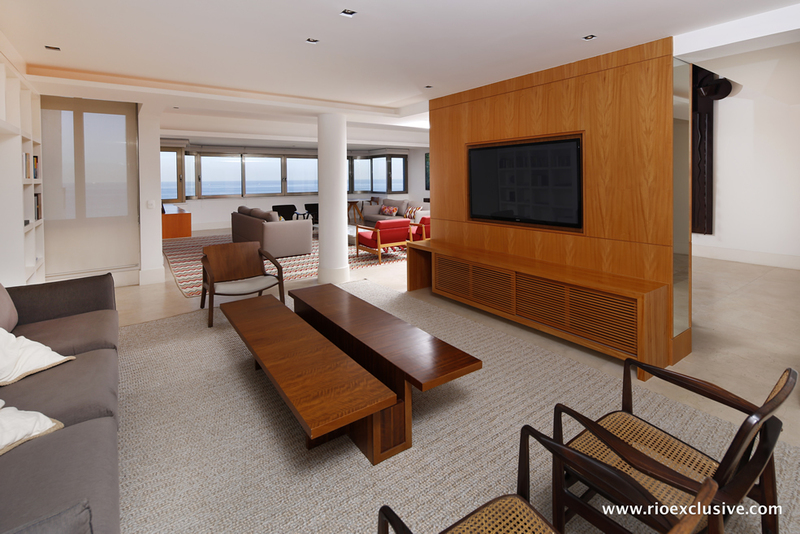 Close by you’ll pass through the high quality modern entertainment center, fully equipped with the latest technology to ensure you can enjoy your favorite movies and shows in relaxed comfort. 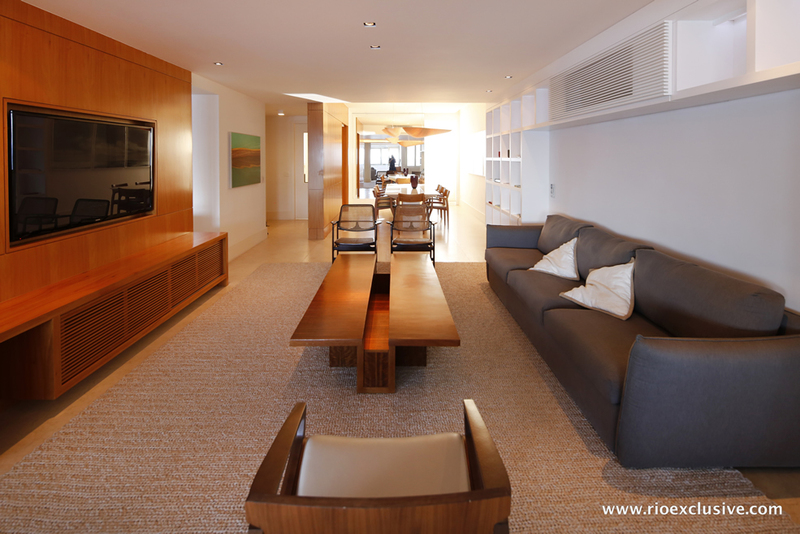 The main living room is one of the properties highlights. 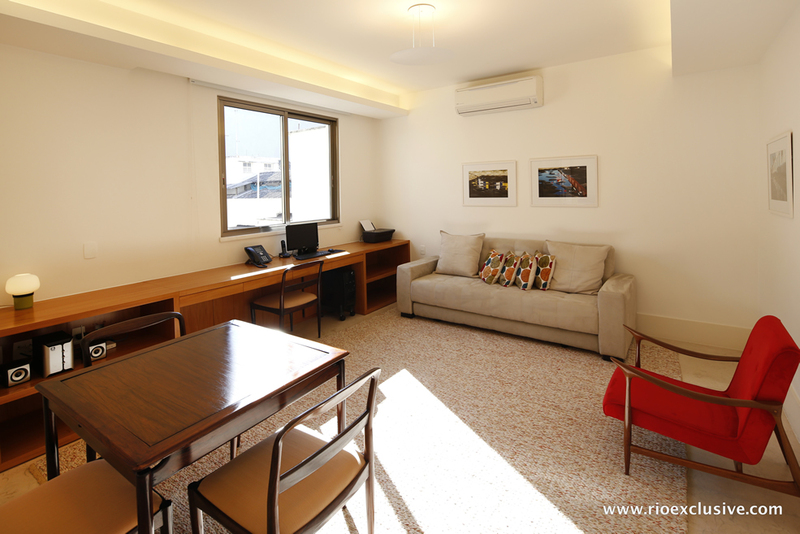 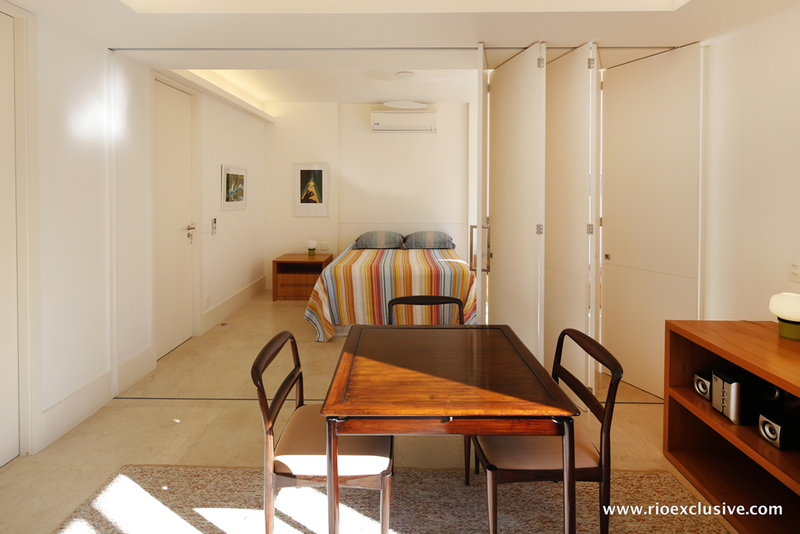 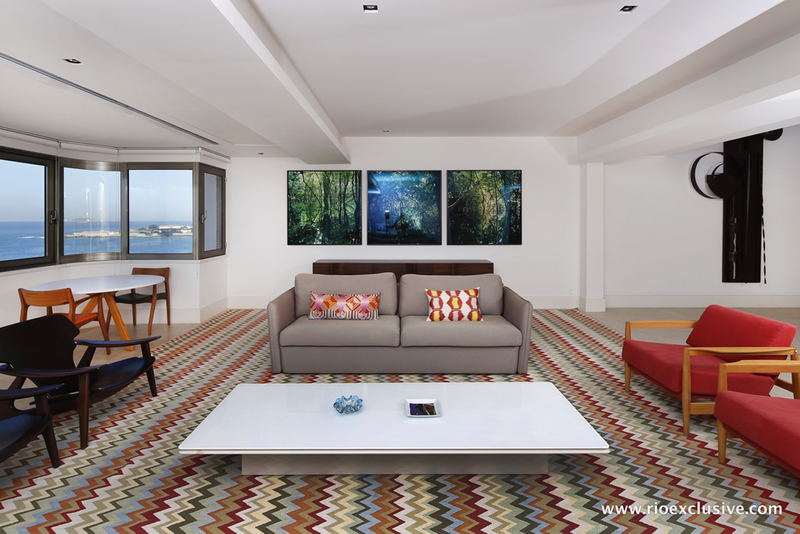 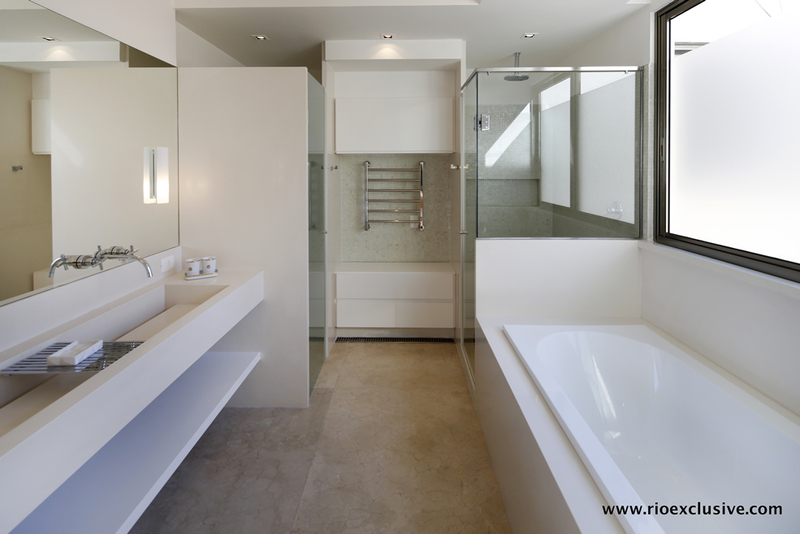 A spacious area flooded with gorgeous natural light during the day, it provides all the best of Rio de Janeiro right in the comfort of your own home. 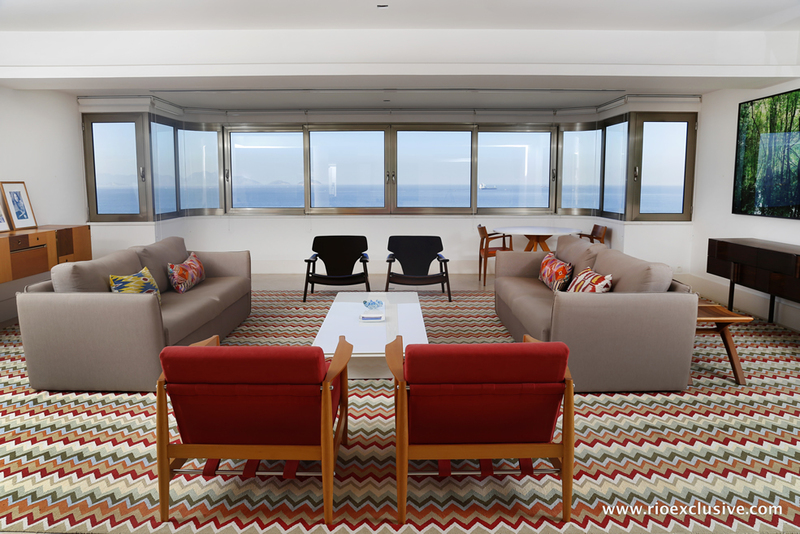 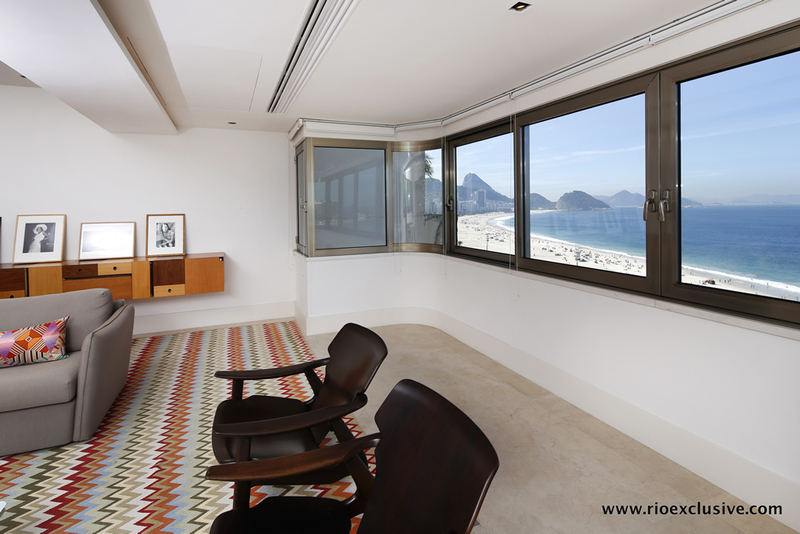 A large wall to wall panoramic window view of Copacabana bay lets your eyes wander from the old colonial fort on your right across the mountains of Niteroi and over to the forested beauty of the mountains of Leme. 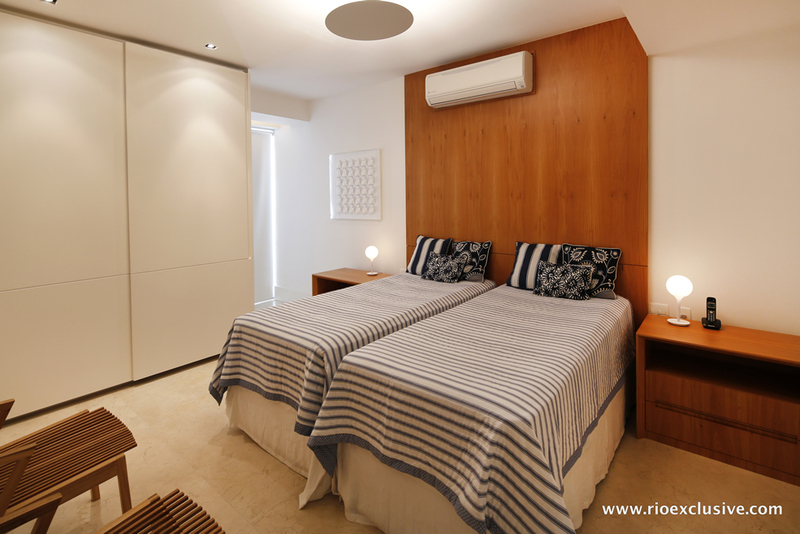 The three bedrooms are all luxuriously designed and furnished to give you and your guests a relaxing and peaceful night of sleep. 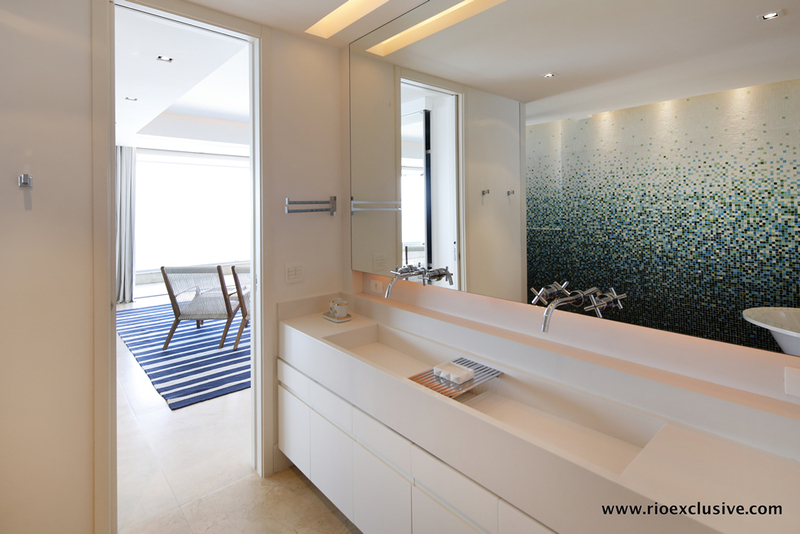 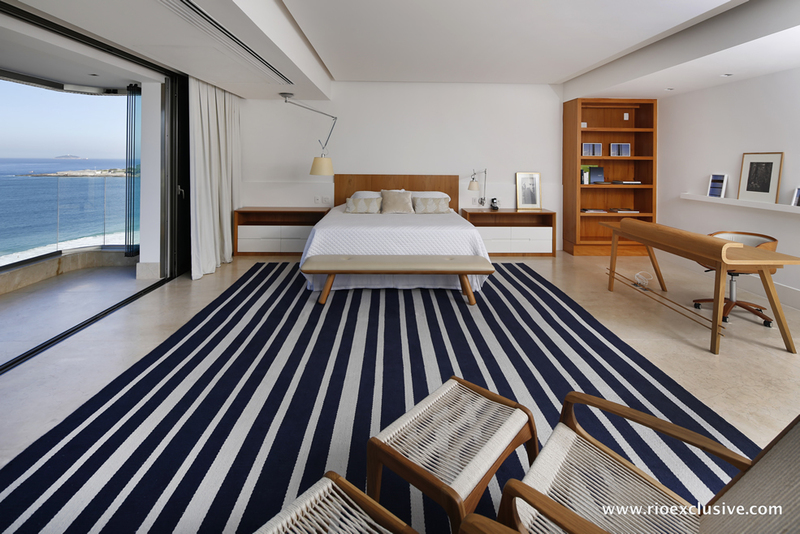 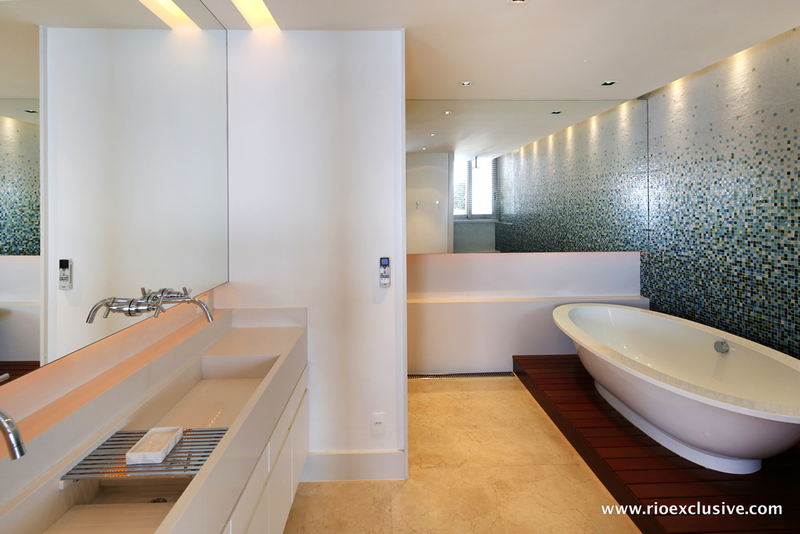 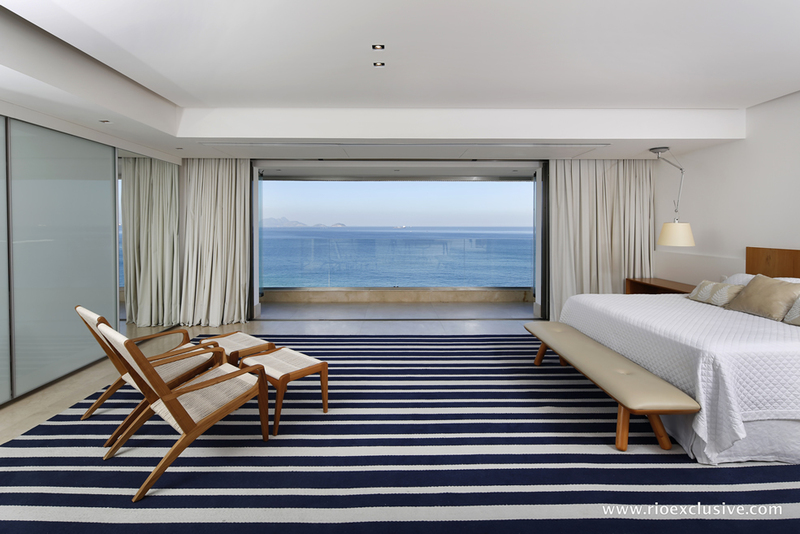 The master suite is in a class of its own, spacious and with its own en-suite bathroom it also features its own unmatched floor to ceiling panoramic view of Copacabana bay. 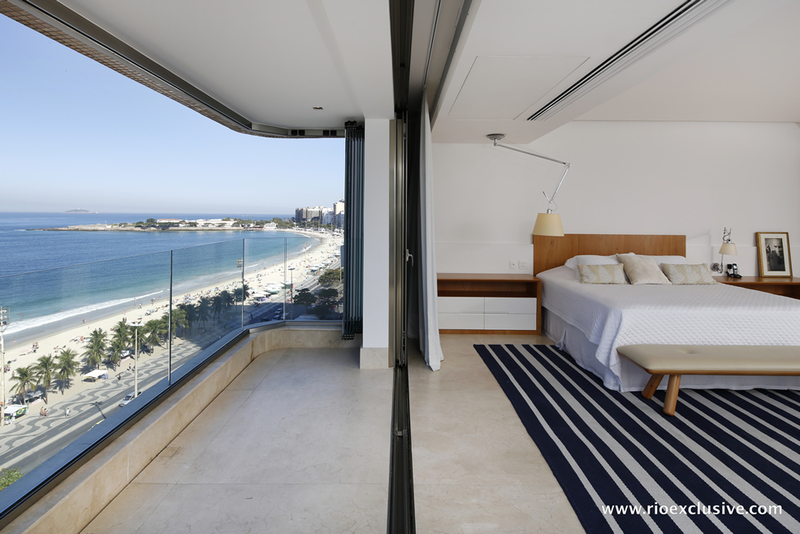 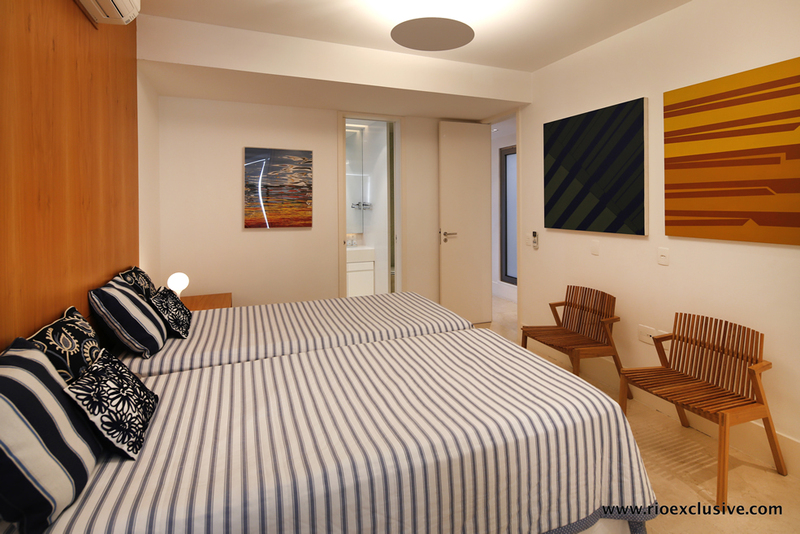 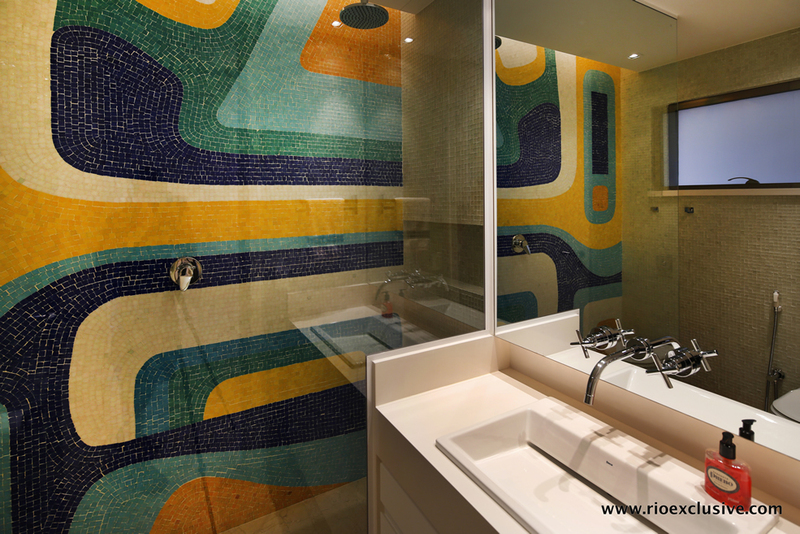 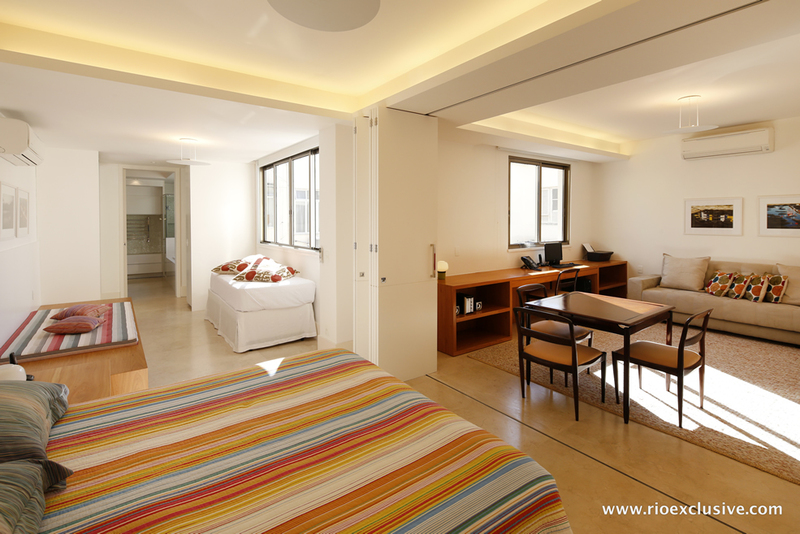 You will be able to wake up each morning to the stunning splendor of the world famous Copacabana beach. 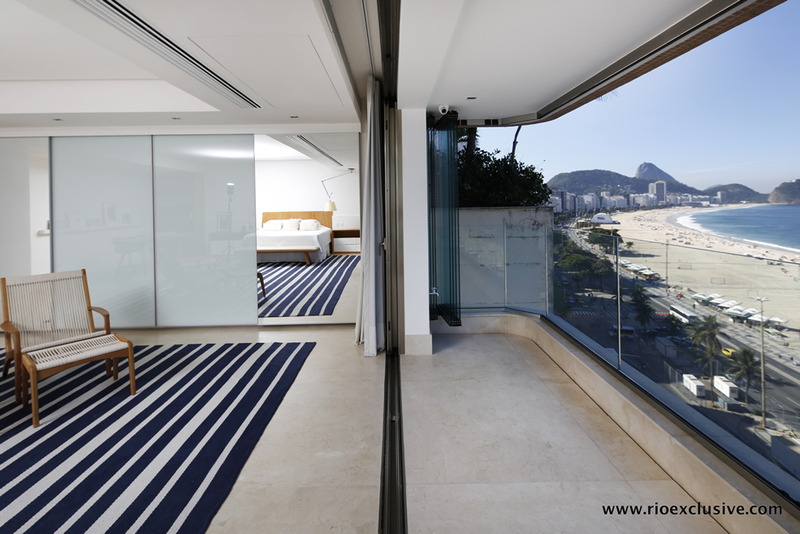 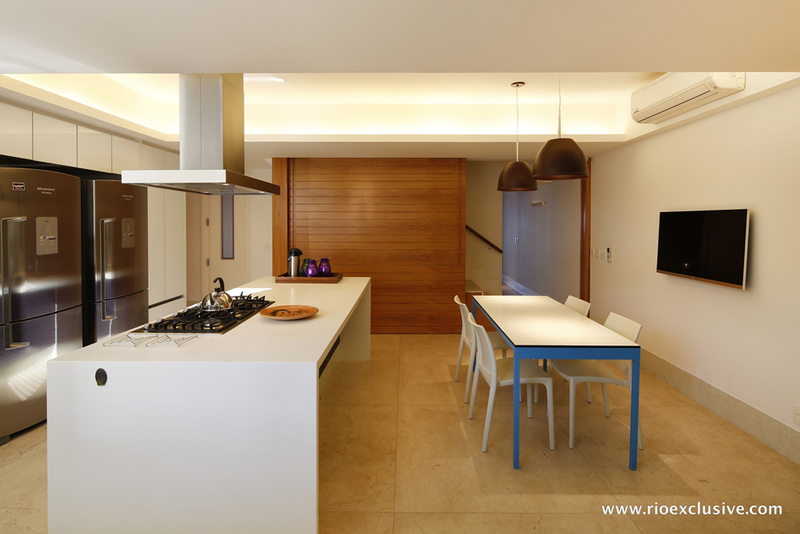 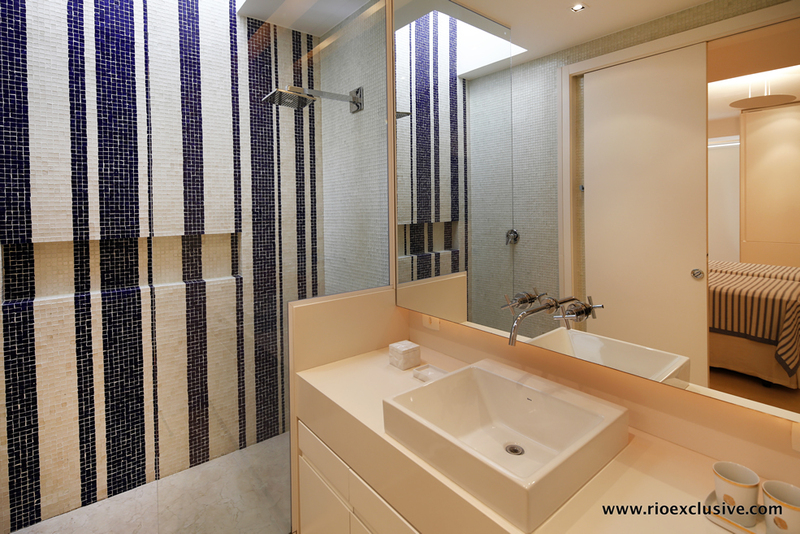 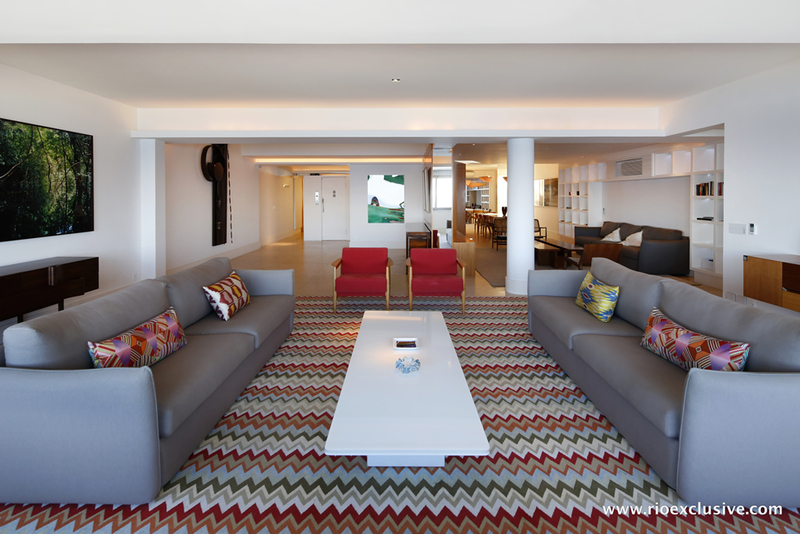 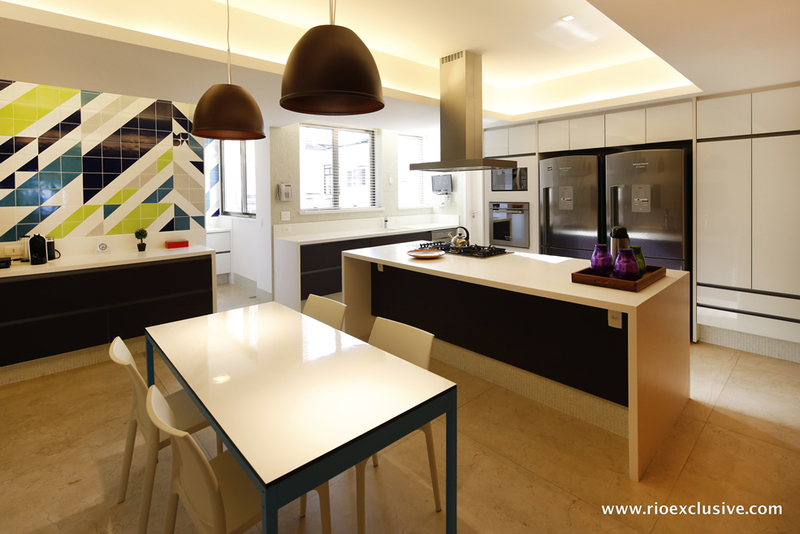 As with all our Rio Exclusive luxury properties, this vacation rental comes with a daily cleaning service from our in-house team of maids as well as a tropical breakfast prepared for guests by our private chefs. 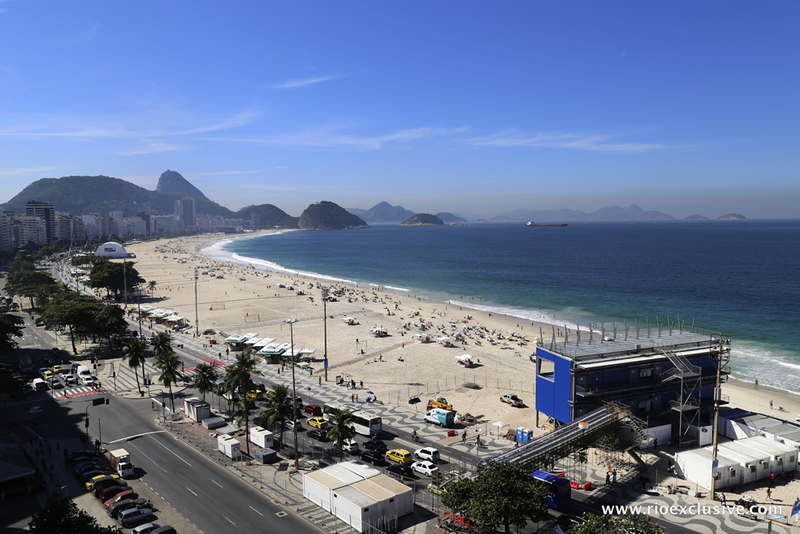 We are always happy to arrange additional services and support for our clients to help them enjoy all the finest that Rio de Janeiro has to offer.